Members of Phidget suspect the road to success will be the simple songs they write and perform. Lead singer and songwriter Jay Linhardt, bass guitarist Tammy Caton and drummer Leland Anderson comprise the recently formed band Phidget. The trio has been together for less than a year. Linhardt, also the leader of sister group Sissy, is taking time off from the group to focus more on Phidget. "I was wanting to play a little more and we were all friends anyway," Linhardt said of Anderson and Caton. "We just got together and started playing." Linhardt, Caton and Anderson are students at State Fair Community College. "Jay came up to me and asked me if I wanted to play the drums," Anderson said. "And I said, 'Yeah, sure.'" "I thought it was going to be something that we just did once in awhile ..." Anderson said. "... That we could just hang out and play a little bit and then we just started taking off." Caton, from Otterville, has never been in a band before and has played the guitar less than six months. "I was interested after hearing Jay's lyrics," she said. "I knew then I wanted to be a part of the group." "It was amazing. She had never played in a band, and she just picked it up and played in tune and the right rhythm and everything," Anderson said. The group rehearses at least once a week and has performed at the Liberty Center and SFCC in Sedalia and the Blue Note in Columbia. They will perform again at the Blue Note on July 30. For Linhardt, a Lincoln native, it's all about simple songs people can interpret. "It's serious music, but still keeping it where you can understand what's happening. I think people want music they can understand - that's genuine," he said. "As far as writing songs, I just want to write songs that people find enjoyable. It's all about keeping it simple. "It's serious. It's dark. It's different," Linhardt said. "But yet, it has a really happy melody." 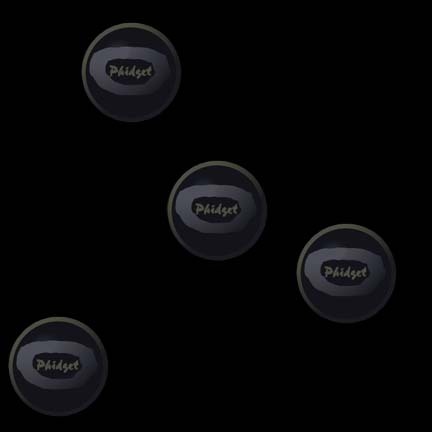 For now, Phidget is content with just practicing and performing whenever they can. For the time being, all three agree higher education is their main priority. "Right now we're going to school, working on getting our name out and playing whenever we can," Linhardt said. "I think we have a lot of potential, though. "It's going to have to come with time. We want people to come and see us and know what our band is about, rather than who we are. People don't shop for music anymore. So many bands that I listen to are unsigned, and it's not because I'm supporting them because they're unsigned," he said. "It's because they put out really great music, but maybe they don't have the money or politics to be on a major label. I think the people need to really give music a listen before they go out and buy it."